Home #ADDICTIVE How many opportunities do you have to save an entire Solar System? How many opportunities do you have to save an entire Solar System? Alien invaders have arrived in their ships and wave after wave of them are assaulting your planets. The Sentinels of Sol towers are yours to deploy and command in this arcade-style tower defense game from Some Kinda Software. Many strategies are possible – only the best will be successful! The early levels are designed to familiarize you with the 4 different tower types you have available – Rail Guns, Missile Launchers, Distortion Generators and Particle Cannons. Each is most effective against different types of invading ships, but only when placed in optimal locations. 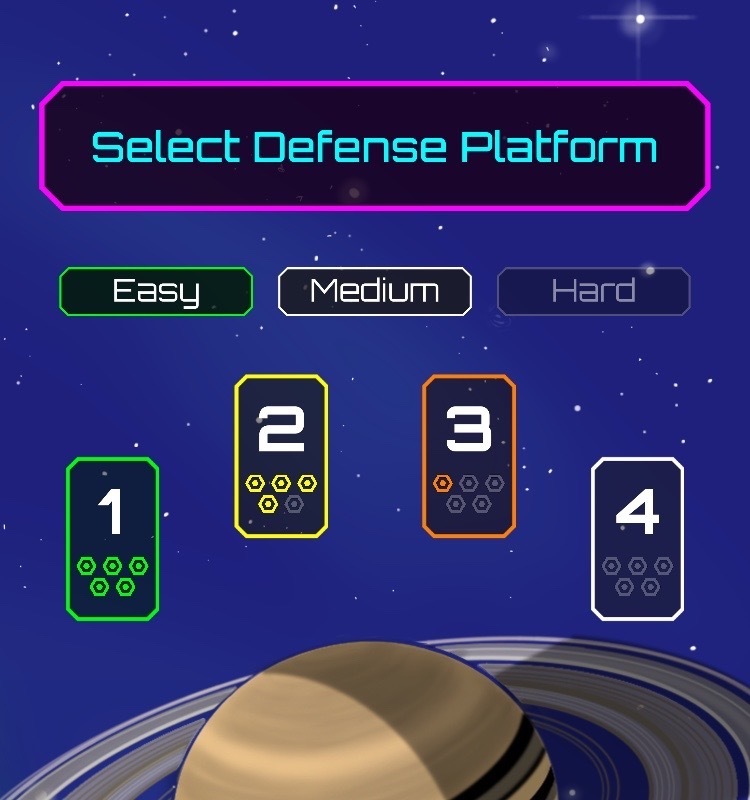 Learn these lessons quickly as the invaders become stronger, faster, sneakier and more numerous as you move through the 24 levels spread over 8 platforms and 3 levels of difficulty. It’s tough to decide whether the teleporters, swarmers, cloaking ships or the tough-as-nails tanks pose the greatest danger! Drag your towers to each strategically selected location in order to upgrade or set them in place using the currency earned within each level. Each tower can be upgraded through up to 8 tiers during gameplay, however, the key to success is deft manipulation of your tower’s capabilities in the Engineering Module. Each tower has 14 upgrade options of increasing value culminating in a “superpower”. 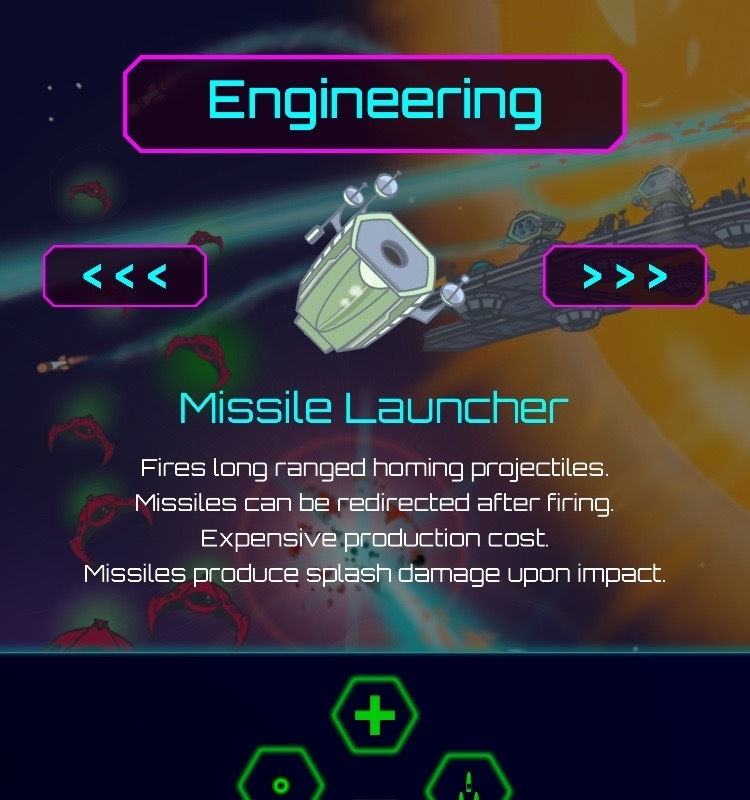 The Engineering Upgrades are enabled only through points earned with each victorious defense and your arsenal may be reconfigured to match your strategy for each new level as new Engineering Points are earned. You may need to play levels multiple times in order to garner the maximum number of Engineering Points available. The game is precisely calibrated to test the player’s strategic creativity each and every step of the way. Important Tip – Pay attention to the Difficulty Level buttons. When they are active they may be the key to gaining much-needed Engineering Points! Your strategic thinking must be agile as the AI-controlled invaders vary their paths dynamically. The play for each level will never be the same twice. Your towers choose targets automatically, but you can redirect their focus with a tap if an invader looks to be escaping through your net. 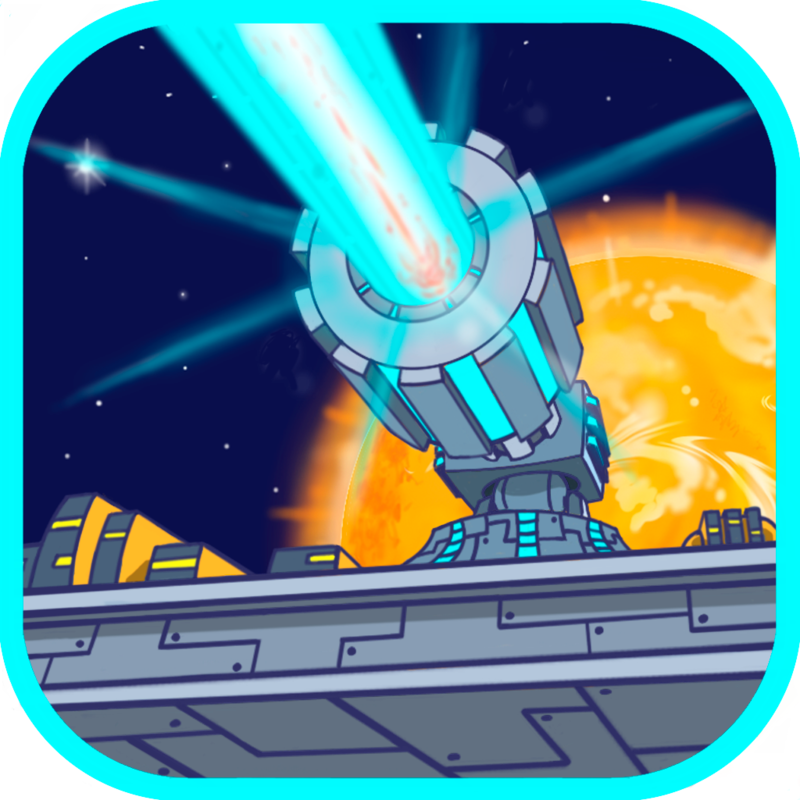 This version of Sentinels of Sol is available for free on the iOS App Store for both iPhones and iPads and there are no in-app purchases as this is our introduction to the market of mobile gaming. You can pick up hints and tips and follow the Sentinels of Sol community on Facebook and Twitter. About – Some Kinda Software, Inc. Some Kinda Software is a family owned and staffed mobile app development company. Even though this is a new venture, our professional software development experience goes back 40 years! And our chief graphic designer has been a professional animator for more than 30 years working with most of the largest studios in the business. He has given Sentinels of Sol a delightful retro-80’s arcade feel. More levels are planned for Sentinels of Sol and our next game is already in the pipeline! Facebook, Twitter, and Instagram for insight on future releases! This article was Published by Edamame Reviews, Written by Some Kinda Software, Inc..
Edamame Reviews cannot be held responsible for the content within this post. Got Something to say? Submit your article to Edamame Reviews.